Leonardo Torres Álvarez is a Vocalist, composer and producer, cataloged as one of the most important figures of Cuban music at this moment. He started his artistic career at a young age and was evaluated as a singer in 1998 in his hometown. After being a part of the group Costa Sur, from Camagüey, He caught the attention of David Calzado, who proposed to him in joining his famous group Charanga Habanera. In 2001 he joined the Charanga Habanera. During the eight years in which he was part of it he performed duets and projects with important figures of Cuban music. He achieved great success with hits like "Tiene de Cuba, tiene mela'o" and "Gozando y a lo cubano". He toured the world with David Calzado's charangueros and recorded several albums. After some years, Leoni decided to give way to a project of his own...which he did. 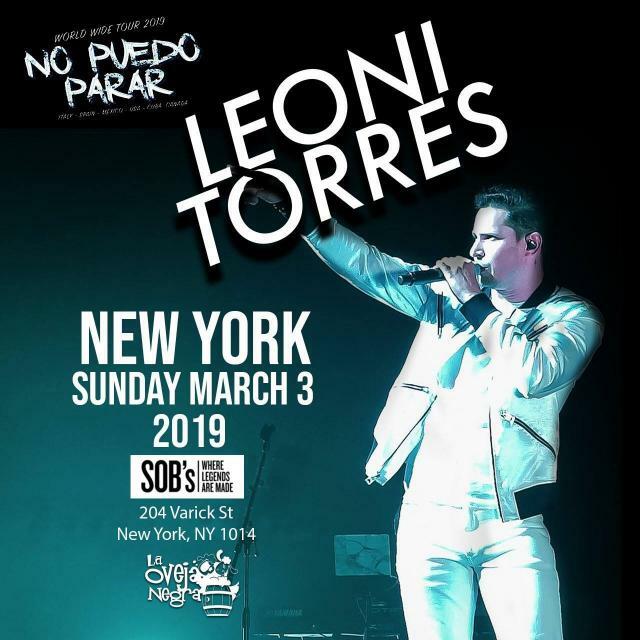 The year 2016 was decisive for Leoni Torres, now with some international recognition, contract signed with the company Magnus Media, production company and talent agency of the singer Marc Anthony. The outstanding Cuban composer and performer is currently focused on completing his next album that will be composed mainly of duos with prominent figures such as Pablo Milanés, Descemer Bueno and Kelvis Ochoa, Gilberto Santa Rosa, among others. In the midst of it, he promotes his most recent work entitled "Toda una vida".